Since the 1980s, the Italian town of Ostana had not seen the birth of a single baby. But last week, a dream came true, as the mayor of the small town said. A baby was born. The first in 28 years. 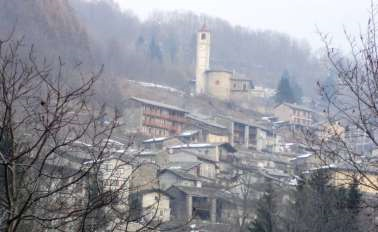 According to La Stampa, the town has only 85 inhabitants, including newborn Pablo. Its population has continuously fallen -- a fate shared by many other Italian towns and villages. "The real decline started in 1975, with 17 babies between 1976 and 1987, when the last boy was born - until little Pablo,"
Mayor Giacomo Lombardo was quoted as saying. A party will be held to celebrate what he hopes will be the start of a reversal of that trend. But the population decline will be hard to stop, no matter what ideas Lombardo comes up with. Younger Italians in particular say there are few attractive job prospects in rural areas. Many have moved to cities, leaving their hometowns to the elderly. Ostana, which is in northern Italy, has only one shop, a bar and two restaurants, according to the Italian news site the Local. Some parts of northern Italy have been hit harder than others. But the south, including the island of Sicily, has faced more dramatic demographic changes in recent decades. The arrival of baby Pablo has certainly been welcomed in Ostana, according to the mayor. "It's great to finally have someone born here, and it shows that our efforts to reverse population decline are slowly working," Lombardo was quoted as saying. Lombardo has tried to create jobs in order to prevent other young people from leaving the town. Pablo might be the first indication that his strategy is working. His parents wanted to move away several years ago but stayed after they were offered the opportunity to work at a mountain refuge.